This article discusses the requirements, delivery of, and repercussions of the Structural Pest Control report. When a home with wood components goes on the market, the war over the Wood Destroying Pests and Organisms Inspection Report, commonly called a Structural Pest Control (SPC) Report, and the repairs begins. As is often the case, custom seems mostly to blame. First, in one corner is the seller. He will tell the listing agent (and himself) that he has seen neither hide nor hair of anything resembling a termite infestation, so obviously there is no need for either a report or a clearance. And as for repairs, he’s all for selling the property in an “as the buyer sees things” condition. The seller’s paladin on this field of battle is his listing agent. Conscientious listing agents will push their sellers to order out the SPC report and fix the repairs now in the name of transparency—and an earlier sale. Armed with a pest control operator’s certificate of clearance, the listing agent will be better able to get the listing price for the property without having to later renegotiate the sales price downward due to delayed, in-escrow disclosures of discoverable material defects (in-fact if not in-law) like wood-destroying infestations and infections. Others, of course, would rather do nothing and let sleeping termites lie, just as the sellers want. Thus, the uncertainty of a risk of loss is shifted to the buyer, letting him check out the property to see what he finds. In the other corner is the prospective buyer. During his observations of the property, he is likely blind to all that moves (like termites/etc.) beneath the surface. He wants to purchase a sound home, but may not know all the right questions to ask, or worse, all the games that the multiple listing service (MLS) gatekeepers have learned to play when working as listing agents on behalf of sellers. reviewing a due diligence checklist with the buyer to make sure he takes the necessary steps so the buyer’s purchaseis, among other things, free of termites. When the seller controls the conversation at the listing stage and takes a pass on the opportunity to order an SPC report and clearance, and termites are later disclosed to the buyer after acceptance of an offer to purchase, no one wins and ill-will is spread all around. Consider a SPC report first delivered to the buyer after entering into a purchase agreement. It discloses the existence of termites or structural damage due to a termite infestation or a fungi infection which the buyer was not previously aware of. He was not told about their existence and did not observe termite conditions on the various walk-through reviews of the premises prior to the seller accepting the buyer’s purchase agreement offer. Upon finding out, the buyer feels taken, as no doubt he should. The seller is irritated, either at being found out or at not being properly advised by his agent on the inevitable need for a report. To keep the deal together, the two agents must now engage in testy negotiations over who is to pay for the corrections and the issuance of a certificate of clearance, and resolve an issue that need not have existed in the first place. The real irritation for the buyer is the concept of buyer responsibility fostered by the pest control provisions in the real estate trade association purchase agreement forms. They are structured to require the buyer to consider paying for repairs and clean-up in order to get a certificate of clearance—a contingency in the purchase agreement andrequired for a Federal Housing Authority (FHA)-insured loan—since the pest control issue adversely affects the value of the seller’s property and the price the buyer agreed to pay. In boom times, sellers get their way since they can demand top dollar, not disclose property defects until just prior to closing, refuse to correct any of those deficiencies, and, by agreement, force buyers to eat the cost if they are going to finance and buy the property. By using a trade association purchase agreement that is exactly the position the termite provisions place the buyer in. Worse yet, no contractual relief exists for the buyer when the seller knows termites exist before accepting a purchase offer, repairs are needed to obtain a clearance, and the seller refuses the buyer’s demands for the seller to get a clearance by removing the termites and their damage. In bust times, such as what we’re experiencing now and will most likely continue to experience into 2013, it’s the buyers who get all they demand. 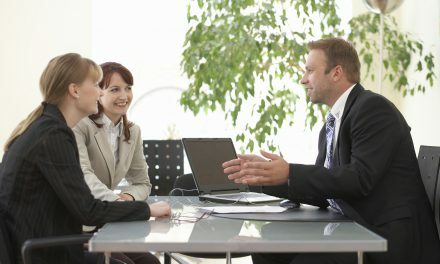 With full transparency at the marketing stage when the prospective buyer is first exposed to the property instead of disclosing the defects after the buyer’s purchase offer has been accepted, the seller avoids all the in-escrow demands to get the defects repaired, the property maintained, and most importantly, the price reduced for any minor dislikes threatening the close of the deal. a subsequent Pest Control Certification stating no active infestation or infection exists on the property. Most conventional lenders will not require a report or clearance. Seller’s listing agents acting in the best interest of their sellers will urge their sellers to authorize a prompt inspection and report upon taking the listing. The report, or better yet the clearance after all recommended repairs are completed, will be included in the listing agent’s marketing package. Disclosure upfront and before accepting offers promotes the profession’s need for transparency in a transaction in order to avoid personal liability for withholding information known to the seller or the listing agent from prospective buyers about a material fact, conduct called deceit. The existence of termites adversely affects the value of property, which is why disclosure is compelled before the buyer enters into a purchase contract and sets the price with the seller. 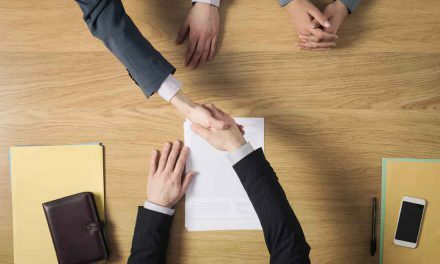 In an ideal world, the report and clearance would be part of the marketing package given to any prospective buyer who seeks more information on the property—the first act by a buyer in negotiations to purchase a property. This makes for a ready, willing, and (most importantly due to the existence of a certificate of clearance) able buyer. 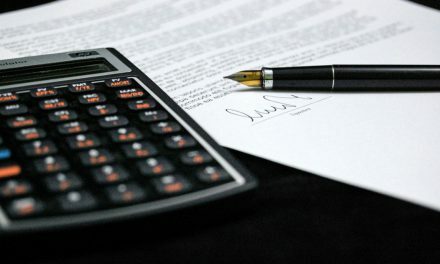 A counteroffer could be used solely for the purpose of making the disclosure, even if no need exists for a change in the terms of the buyer’s offer. Disclosure is always most practicable before the acceptance occurs—ASAP—to determine if the buyer’s knowledge of the contents of a report or other knowledge of the termite conditions causes the buyer to withdraw and reconsider the price or terms of his offer. The seller or the listing agent resorts to deceit when the existence of a condition which adversely affects value is known to the seller or the listing agent and not disclosed before the seller accepts the buyer’s purchase offer. Section II items, listing conditions deemed likely to lead to infestation or infection but where no visible evidence of infestation or infection was found. However, sellers need to order the inspection and report when the property is listed so any necessary repairs will become known, the cost for any correction ascertained, and any repairs completed before a prospective buyer is located—unless it is the seller’s intention to contract for the buyer to be responsible for the structural pest control clearance. Misrepresentations of the property’s condition cannot then become surprises during escrow. These “defective” conditions of termites and their damage to the property are owned by the seller. In a bust market, the buyer with a selling agent whose duty of care it is to protect his buyer is not about to let the seller pass any sort of deficiency which adversely affects the value of the property onto the buyer. Therefore, requesting a separated report in the current climate is pointless as the intent of a separated report is to divide: divide the type of conditions, and more importantly, to set the seller and buyer against each other, and ultimately shift the responsibility which is the seller’s alone to shift to an unsuspecting buyer. More to the point, why risk having prospective buyers walk away from your listing, especially in a buyer’s market, just because a termite-free home with a clearance and certainty of risk is available around the corner? If an active termite infestation or fungus infection is found on an inspection prior to marketing the property, the seller needs to consider taking corrective measures to both protect the property from further damage and ready it for a prospective buyer. Consider a one-to-four unit residential property of wood frame construction listed with a broker who is employed to locate a buyer. The listing agent explains he wants the seller to order an SPC inspection and report now since any prospective buyer (or his lender) will want an SPC Report and Pest Control Certification before escrow can close. The inspection report received from the SPC company states conditions exist which will likely lead to an active termite infestation (Section II items) and recommends repairs and further inspection into inaccessible areas. Unhappy with the report and the estimated cost of repairs, the seller has the listing agent get a second opinion of a different SPC company. The second company states there is an active termite infestation (a Section I item) and lists estimates for repair which are higher than the first company’s estimates. A buyer is located for the property. Deciding to go with the first SPC company’s report, the seller completes the repairs recommended by the first company. The listing agent delivers a copy of the first company’s inspection report to the buyer (or buyer’s selling agent), but does not inform the buyer or his agent of the second inspection report. Escrow closes and the buyer moves in. The buyer discovers termites and the existence of the second inspection report. The buyer, after paying for extensive repairs and corrective measures, makes a demand on the listing agent for his costs to correct the damage, claiming the listing agent was liable since he knew about the second report and the termite infestation, a material fact he did not disclose. Is the listing agent liable for the costs the buyer incurred to cure the termite damage since he knew about the second report and the termite damage and failed to disclose the report or its contents? When choosing an SPC company, the listing agent needs to protect his client and verify the individual or company’s license, the company’s registration, and the individual’s or company’s complaint history by calling the SPC Board at 916-561-8708 (in Sacramento) or 800-737-8188 ext. 2 (outside Sacramento), or at www.pestboard.ca.gov. Further, the bonds also protect any person who is damaged as a result of any violation of the SPC Act by a registered and licensed SPC company. $25,000 for property damage per loss. illness as a result of the company’s actions. perform any repairs recommended on the inspection report. An inspection will cover all accessible areas to determine whether there is an active infestation or infection or conditions which will likely lead to future infestations or infections. Inaccessible areas do not need to be covered in an inspection. If an estimate for corrective work is not given in the original inspection report or thereafter, then the company is not required to perform a reinspection. A reinspection will be required if a separated report is requested as an estimate for repairs must be given separately allocating the costs to perform each and every recommendation for corrective measures for Section I and II items. 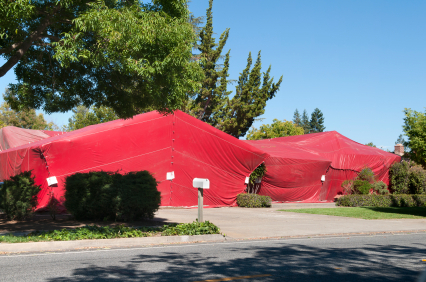 If the property is fumigated, the fumigation company (which must hold a Branch 1 license) will issue a certification of fumigation within five days. the property is free of active infestations or infections in the visible and accessible areas. In this buyer’s market, and in the years to come, listing agents are going to need to school their sellers on what a buyer will and will not tolerate. When it comes to the SPC inspection, report, repair, and certification, they all initially belong to the seller. Further, the obligation usually remains with the seller since no buyer’s agent worth his salt is going to allow his buyer to purchase termites or their breeding grounds. In a seller’s market, a seller may be able to make a buyer pay for the seller’s termite problem, leave conditions that may lead to future infestations and infections unfixed, and still command a price at a multiple of the amount they paid for the property. Those days are over. Today, listing brokers and agents need to make sure that their sellers understand that if they don’t want to continue “owning” the termites, they need to fix and maintain the property in a (buyer’s) marketable condition or be prepared to fight over the price they want for their home, and most likely lose that battle.